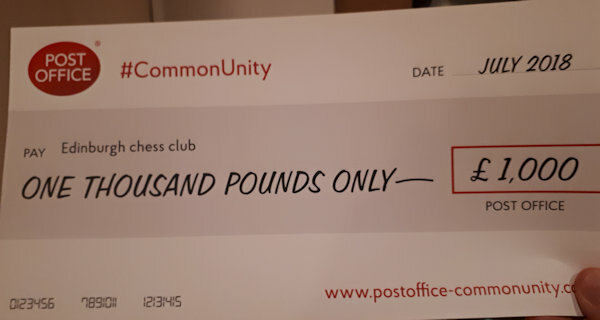 We’re delighted to announce that we’ve received a cheque for £1000 from the Post Office’s CommonUnity competition to help us to support junior and senior chess activities. Our sincere thanks to Lynsey Shovlin for spotting the competition and entering us into it – an excellent piece of initiative! We’ll be considering how best to use the prize for maximum benefit in the near future.